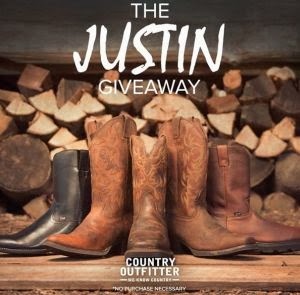 Enter to win a free pair of Justin Men's Boots @ Country Outfitter! Click the link below to go to their website. 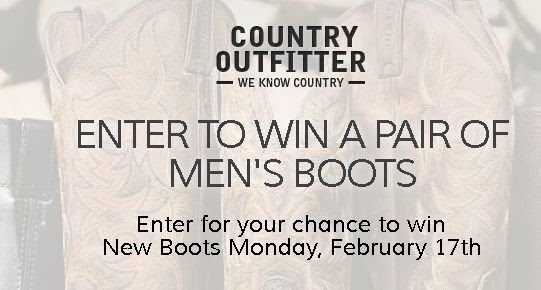 Once you are on their website enter your email to win a free pair of Men's Justin Boots on Mon Feb 17th, 2014. No purchase necessary.